Dress, medical and technical fabrics. 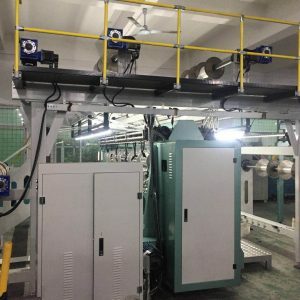 The renovation of used warp knitting machines is expensive and sometimes impossible because some parts are no longer available! Replacing old Jacquard bars on RJSG, RJPC, Jacquardtronic, Textronic etc. by new PIEZO jacquard bars. Introducing a PIEZO Jacquard bar inside multibar lace machines, RD6/7DPLM, HKS4 etc. 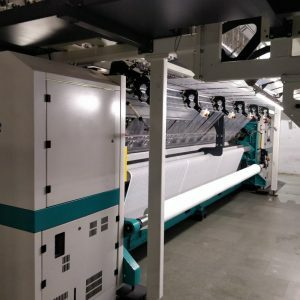 Replacing or Introducing modern “EL” systems on Tricot or Raschel machines. This Italian leader of mattress and quilting machines with modern solutions for automatic wrapping, conveying, stacking and storages. We are representing them for France.